Expired 9mo ago . Last validated 8mo ago . Used 2 times. 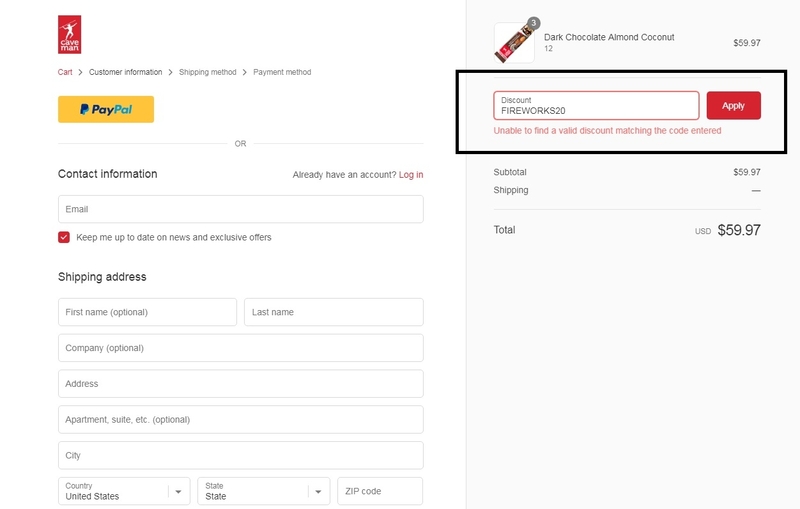 Crisol Vivenes I am invalidating this deal, it`s not working, I placed the code and this message appears "Unable to find a valid discount matching the code entered". 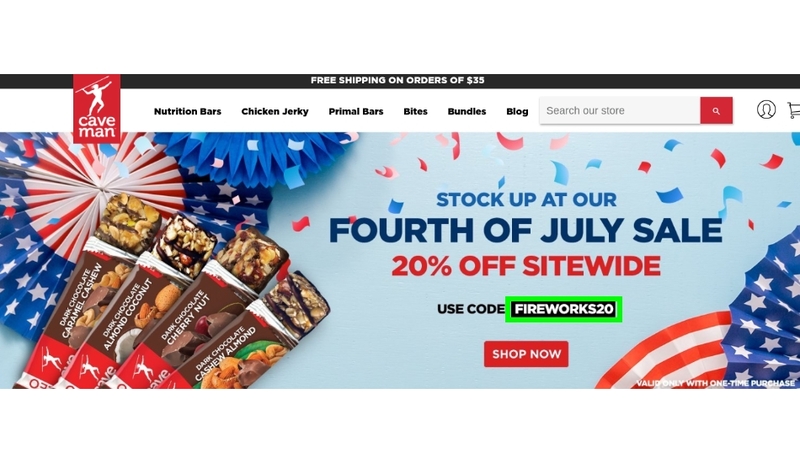 Jose Franco Use the code FIREWORKS20 to Get 20% Off Your Order at Caveman Foods (Single-Use Code).